Gonzalo Higuain has admitted that the legacy of Diego Maradona at Napoli played a big part in his decision to join the club. The 25-year-old moved to the Partenopei from Real Madrid in July for a reported €40 million fee, having been tipped to sign for Premier League side Arsenal earlier in the summer. But Higuain claims that his heart was set on Napoli as soon as he heard of the interest from the club. So, inspired by his idol Maradona’s time in Naples, what should we expect of Higuain? Well, for starters, he’ll be consorting with gangsters and prostitutes and low-lifes, frequenting all night drinking dens before heading off to training having snorted his bodyweight in cocaine over the course of the preceding 12 hours. Best of luck Gonzalo! In an attempt to cut down on the violence surrounding Argentine football, the season starts this weekend with only club members allowed to enter stadiums and watch home games. The rules will be in force for the first two weekends. There is already a ban in place for away fans following the death last month of a supporter of visiting club Lanus, who was killed as fans and police clashed in La Plata, near Buenos Aires, during a match against Estudiantes. Almost every match in Argentina’s top flight carries with it the threat of violence. Last month, two Boca Juniors fans were killed in a shootout between rival factions of hooligan gangs that support the club. The violence took place at a pre-season friendly match scheduled against San Lorenzo. The Argentine Football Association (AFA), with the backing of the government, came up with the latest plan. The AFA has come under fire from the clubs and has been accused of doing little to stem the violence which has seen more than 70 fans killed since 2000. Lazio captain Stefano Mauri has been convicted of match-fixing and sentenced to a six-month ban, pending appeal. The Serie A club have been fined €40,000 for their involvement in the fixing of two fixtures at the end of the 2010-11 season, although they will not be docked any points. Genoa, who also risked a points deduction, have been cleared of any wrongdoing while third division club Lecce have been fined €20,000. The punishments, which relate to the games between Lazio and Genoa on May 14, 2011 and Lazio and Lecce on May 22, were announced on the website of the Italian Football Association (FIGC) on Friday. The sanctions come into force immediately, although Lazio had already requested a date for an eventual appeal to be heard on August 16, two days before the Supercoppa is scheduled to be played against Juventus. Should the appeal be unsuccessful, Mauri will miss that game as well as the first half of the Serie A season. Prosecutor Stefano Palazzi had called for a suspension of four-and-a-half years for Mauri, 33, which would have effectively ended his playing career. A deduction of six points was recommended for Lazio. Mauri’s punishment has been reduced on the grounds that he was not directly involved in fixing the games, but merely failed to report to the authorities that he knew about the plans. Alessandro Zamperini, who was already banned for five years, received a further two-year suspension. Well struck volley from Mineros Guayana Angel Chourio in their Copa Sudamericana tie against Barcelona. 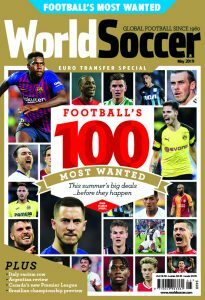 Asked about Real Madrid’s proposed €100 million transfer of Tottenham’s Gareth Bale, Arsenal boss Arsene Wenger wonders what is the point of UEFA’s Financial Fair Play rules. According to some scarcely believable reports Wayne Rooney will decide his future at Manchester United based on what kind of reception he receives in the next two matches he appears in. Rooney continues to be linked with a move away from Old Trafford, and Chelsea have already had a bid of £27 million turned down by the Premier League champions. Some reports suggest Chelsea are preparing to launch a £40m offer to bring the England international to Stamford Bridge, but the future of Rooney could be decided in United’s friendly against AIK Stockholm in Sweden next week, or in Rio Ferdinand’s testimonial match at Old Trafford against Sevilla. If Rooney receives a warm welcome he will inform the club that he wants to stay. However, if the reception is hostile then he will ask for a transfer and attempt to push through a move to Chelsea, his preferred choice of destination. It all seems horribly reminiscent of an episode of Britain’s Got Talent with the public holding all the cards, although ultimately, the decision in that show rests with Simon Cowell and it is hard not to imagine that the same role will be fulfilled at Old Trafford by United manager, David Moyes. Just two days before the New York Cosmos make their long-awaited return to action, the city has marked the moment by transforming the Manhattan’s most iconic building in the club’s green colours. Pele, a member of the original Cosmos side in the 1970s, was on hand to do the honours. The three-time World Cup winner and his former Brazil team-mate Carlos Alberto, will be guests of the Cosmos when the franchise returns to action in the NASL on Saturday against the Fort Lauderdale Strikers. If you’re wondering what the Empire State Building will look like when it’s lit up, it will be something like this. While Italian football continues its dogged fight against the culture of match fixing threatening to undermine the sport, the authorities are doing their bit to get their house in order by agreeing a sponsorship deal with…Eurobet. The bookmakers will be the title sponsor of Serie B, Italy’s second division, this season. Eurobet’s logos will feature on the shirts of the league’s 22 clubs as part of the agreement. 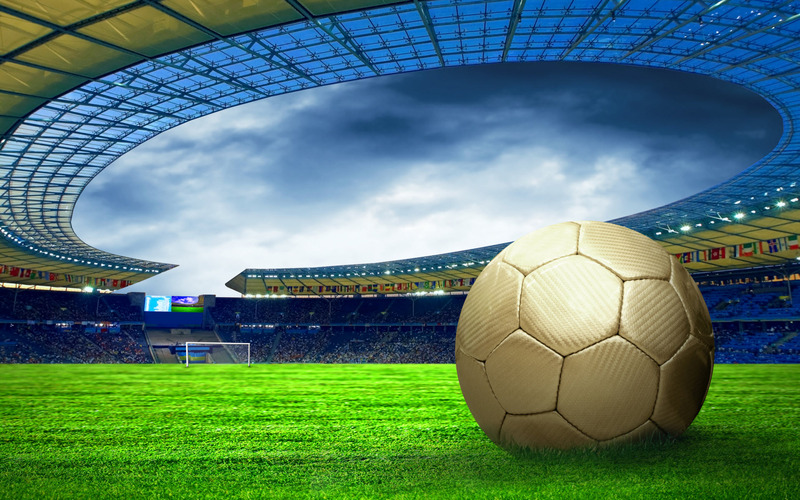 Although it is unclear to what extent the agency has been involved in this deal, Serie B last month contracted RCS Sport as an ‘exclusive marketing advisor’ to the league, with a mandate to centralise certain sponsorship and promotional rights. Bayern Munich manager Pep Guardiola has revealed his attention is in on developing players, rather than winning silverware. Which, when you consider that Bayern won an unprecedented treble last season, might be a shrewd strategy to adopt. The former Barcelona manager has admitted his focus is on seeing individual improvements in the squad, and that winning trophies is not the be all and end all. Guardiola told reporters: “Winning titles is obviously nice, but that’s not what it’s all about in the end. If that sounds suspiciously akin to Brendan Rodgers questionable claims that he should not be judged on results but on how he improves players, then one should remember that Guardiola, unlike his Liverpool counterpart, does have plenty of silverware to fall back on. Yesterday, Guardiola acquired his first trophy during his tenure at the Bundesliga club, winning the Audi Cup, beating Manchester City 2-1 in the final at the Allianz Arena. FIFA’s chief medical officer Jiri Dvorak has insisted that doping is not a significant problem in football. Unlike cycling, athletics or a number of other high profile sports, football enjoys a relatively clean reputation when it comes to performance enhancing drugs. And according to Dvorak, that’s because there isn’t much of it happening. “I am confident that there is no systematic doping in football,” he told FIFA’s official website on Friday. “There is no systematic doping culture in football. I am confident of this. FIFA launched biological profiling back in February, similar to the biological passport in cycling. It was tested at June’s Confederations Cup and will be used again at next year’s World Cup. Dvorak says FIFA will try to get other organisations on board. “And now we are also in discussion with UEFA and other confederations to start this biological profile in the confederations so all the top players will be registered,” he added. Laudable though their efforts are, FIFA must wonder why in their particular sport, the most high profile and the best rewarded of them all, that there are not more examples of players seeking to gain an advantage by illegal means.